Sign up for free and just shop with Shell Energy as normal. Our average member earns over £300 cashback a year. If you already have an account with Shell Energy and wish to switch your current tariff e.g. changing iSave Everyday to a Fixed rate tariff or vice versa, you will not be eligible for any cashback under this offer. Any fraudulent activity will result in immediate termination of your account. This offer is not applicable to any customers who already have a pending application to join/switch their supply to Shell Energy where they have not used the TopCashback link. In certain instances transactions may not be tracked, or will be declined, due to factors outside of our control. Cashback may only be paid on the net value excluding any taxes, surcharges and any additional costs such as delivery. Shell Energy cashback can be earned simply by clicking through to the merchant and shopping as normal. Shell Energy Cashback is available through TopCashback on genuine, tracked transactions completed immediately and wholly online. Cashback is paid by TopCashback only. Cashback is only available to new Shell Energy customers. The amount of cashback will depend on whether you choose a single fuel or dual fuel product and the terms of the offer. Cashback will be confirmed and paid on a single fuel application once the electricity supply has started and for a dual fuel application once both electricity and gas supplies have started. This offer is open to Shell Energy residential customers only. No cashback is offered on First Utility business products. 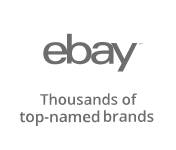 If you earn cashback through this merchant, payouts cannot be made by Adidas e-Gift card, Adventure Card by Geronigo e-Giftcard, All Bar One e-Gift Card, Amazon.co.uk e-Gift Card, Arcadia e-Gift Card, Ask Italian e-Gift Card, Bonmarché e-Gift Card, British Airways Executive Club, British Airways Executive Club, Caffe Nero e-Gift Card, Carluccios e-Gift Card, Chef & Brewer Pub e-Gift Card, Crown Carveries e-Gift Card, Currys PC World e-Giftcard, Ember Inns e-Gift Card, FatFace e-Gift Card, Fayre & Square Pub e-Gift Card, Flaming Grill Pub e-Gift Card, Footlocker e-Gift Card, Gap e-Gift Card, Google Play e-Gift card, Greene King Pubs e-Gift Card, Halfords e-Gift Card, Harvester Pubs e-Gift Card, Hungry Horse Pub e-Gift Card, Innkeeper's Lodge e-Gift Card, intu e-Gift Card, JoJo Maman Bébé e-Gift Card, Love2Shop, Love2Shop, Love2Shop e-Giftcard, M&S e-Gift Card, M&S e-Gift Card, Masterchef e-Giftcard, Miller & Carter Steakhouse e-Gift Card, Mococo e-Gift Card, Nicholson's e-Gift Card, Not On The Highstreet e-Gift Card, NOW TV Entertainment Pass, NOW TV Kids Pass, NOW TV Sky Cinema Pass, NOW TV Sky Sports Pass, O’Neill’s e-Gift Card, PayPal, PayPal, Pizza Express e-Gift Card, Pizza Hut e-Gift Card, Primark e-Gift card, Reward Wallet, Starbucks e-Gift Card, Stonehouse e-Giftcard, Tesco e-Gift Card, The Body Shop e-Gift Card, The Dining Out Card e-Gift card, The Great British Pub e-Gift card, The Restaurant Card e-Gift Card, Thomas Cook e-Gift card, Ticketmaster e-Gift Card, Toby Carvery e-Gift Card, Uber Eats e-Gift Card, Uber Rides e-Gift Card, Vintage Inns e-Gift Card, Virgin Experience Days e-Gift Card, Virtual Mastercard® Prepaid Card, Xbox e-Giftcard, Xbox Live Gold Subscription e-Giftcard, Zizzi e-Gift Card. For any cashback claims please contact TopCashback. Did you know you can save money on your gas and electricity bills and help save the planet at the same time? If not, you should take a look at Shell Energy, who are a gas and electricity supplier to home and business customers. They believe everyone in Britain should be able to choose 100% renewable electricity for their home, which is why they offer it as standard on all of their tariffs. They believe home energy matters and want to make it easy to choose the home energy which is right for you. They also offer innovative solutions for a smart home which will make it easy to manage the energy you use. 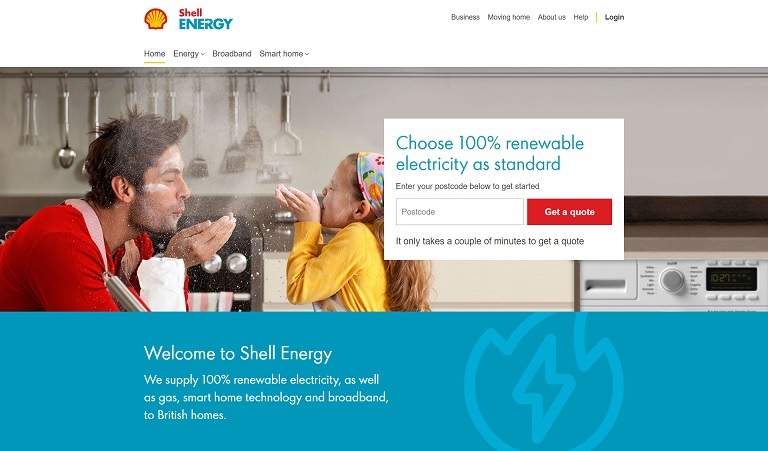 If you are thinking of switching to Shell Energy from one of the other energy suppliers, take a look at their various tariffs and get a quote online. Before you do, make sure you sign up to TopCashback if you are interested in saving money as you will be able to take advantage of our Shell Energy cashback deals. Shell Energy offer various pay monthly fixed and flexible dual fuel tariffs, meaning you are sure to find one which suits you. What's more, every one of their tariffs come with 100% renewable energy. You will find tariffs which offer fixed prices for 16, 18 and 37 months which allow people to manage their energy bills. These fixed price plans offer price rise protection for the specified fixed term, while you will be able to earn exclusive rewards with Shell Go+. Choosing one of these energy plans will also entitle you to a Shell Energy Broadband discount. The 18-month tariff includes Smart, while with the 37-month fixed tariff, you will receive a Nest Thermostat E. As well as the fixed tariffs, Shell Energy also offer a fully flexible plan, which will also entitle you to a broadband discount and enable you to earn rewards with Shell Go+. If they cut energy prices, your bills will fall too with the flexible plan. It is easier than you might think to switch energy supplier to Shell Energy for lower household bills. Basically, they will deal with all the complicated stuff and keep you updated at every stage. 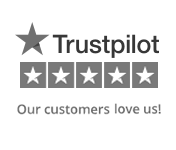 Once you have obtained a quote you are happy with, you will just need to provide them with a few details in order to start the switch online. They will tell your current supplier you are leaving them and make sure they provide everything Shell need to get you up and running on your new tariff. When the switch is made, you will have 14 days to change your mind without any obligation. You can also be sure you will be protected by the Energy Switch Guarantee every step of the way. You will also be compensated in the event of there being any issues when switching from one of the other energy companies, be it British Gas, Eon or someone else. Shell Energy offer 100% renewable electricity as standard. They believe cleaner energy is important, as well as where it comes from. All of their electricity comes from 100% renewable sources like wind, solar and biomass. Where their renewable energy comes from is certified by Renewable Energy Guarantees of Origin (REGOs), which means all of the energy you buy from Shell is matched with the equivalent amount of units from 100% renewable sources in the UK. If you are really serious about saving energy, as well as time and money, you should take a look at the smart technology products they offer. Products such as their smart thermostats will provide you with a convenient and efficient way to manage your home energy. Also, if you think you might have left the heating on when you set off from home, you will be able to check from anywhere and switch it off if you did. Their smart metres will provide you with greater control as they will display exactly how much energy you use and how much this costs you. You can also try the Nest Thermostat E, which offers proven energy saving features and a simple schedule which is easy to adjust. The best thing is you can control it from anywhere via the Nest app. With electric cars now increasingly popular, you will be able to charge yours at home with their EV home charger, which is powered by 100% renewable energy. They are the home energy section of the Shell Energy brand, which also serves large businesses around the world with a leading range of reliable and innovative energy solutions. The home energy business came as a direct result of Shell buying First Utility in 2018. As the biggest challengers to the major energy suppliers, First Utility had a reputation for supplying great value energy and broadband to homes throughout Britain.